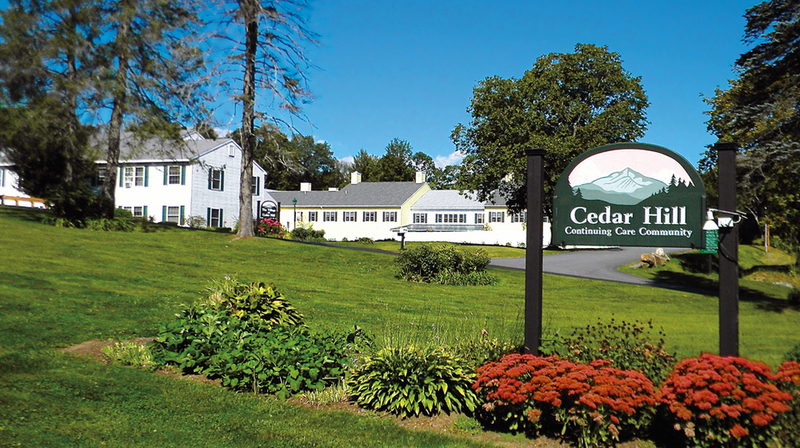 Cedar Hill Continuing Care Community is an award-winning senior living community. The Vermont campus includes: an independent- and assisted-living area with 40 apartments; a 39-bed skilled-nursing facility; and a 20-bed specialized memory care center. It also features community gathering areas such as a café, a greenhouse, activity spaces, and outdoor gardens. The abundance of space and extensive facilities, however, place significant demands on wireless phone connections. Earl Knight, Director of Maintenance and Life Safety for Cedar Hill, was frustrated with the community’s wireless phone coverage. In remote areas of the campus, phone connections could not always be established. Staff were sometimes unreachable. Calls were lost. Even in the central building, phone coverage was unreliable at the ends of long hallways. Staff efficiency was compromised as nurses were forced to run down hallways, up stairs, and across the grounds to consult in person or return to a viable call range. Mr. Knight experimented with different consumer phone models and cordless signal boosters. None could resolve the long-range connection issues. Knight’s online search for a phone system with long-distance capability brought his attention to EnGenius Technologies’ industrial cordless phone solutions. According to Knight, the DuraFon 1X single-line system, known for its long-range connectivity and durability, turned out to be the perfect choice for Cedar Hill. Knight’s main concern was obtaining reliable coverage throughout Cedar Hill’s extensive facilities and grounds. The DuraFon system provides just that; it can penetrate up to 12 floors within a building, 250,000 square feet in a large facility, or 3,000 acres over open land. According to Knight, with just one base unit placed at the main building’s nurse’s station, the DuraFon system maintains a signal even to the farthest reaches of the Cedar Hill campus. Knight says Cedar Hill’s staff often takes advantage of the unique private digital intercom, allowing them, for instance, to communicate quickly between the nurse’s station and a patient’s room via handsets without using an external phone line. And if nurses need to assist residents and talk simultaneously, DuraFon’s speakerphone capability allows hands-free communication. Finally, if the need should arise, an instant emergency broadcast can alert all handsets. Cedar Hill began by deploying one base and three handsets; now the growing facility is preparing to purchase a fourth handset. Because the DuraFon 1X system is scalable, capable of supporting up to 9 handsets per base unit and of integrating multiple bases, it can expand to support Cedar Hill’s growth. In heavy-use environments like healthcare facilities, handsets can expect to take a beating. Knight says the durability of the handsets is “great.” The DuraFon 1X’s drop-tested, rugged housing withstands most harsh treatment, although Knight recommends not dropping one in a toilet bowl, as once happened at Cedar Hill! “Overall, they have been wonderful,” says Knight. Cedar Hill staff now uses DuraFon 1X 24 hours per day, over three shifts, with no fear of dropped calls. Staff are able to instantly communicate from any point on the large campus using the two-way walkie-talkie mode. Nurses administering medication or checking on residents can consult with each other and, if necessary, with physicians, without leaving a resident alone while a determination is made. For residents who do not keep a phone of their own, Cedar Hill can deliver their occasional personal calls to them, wherever they are. And in case of a crisis, emergency services are available at the touch of a button. Knight avidly recommends DuraFon to other healthcare and senior living communities because of the “emergency access and long-distance capabilities.” He says the staff is comfortable with the system and customer service has been helpful and easy to work with. “It solved our problems,” says Knight.